Supports for the night were Farnham based boys, Homebound and Manchester outfit Milestones. Milestones, who released their full-length debut, ‘Red Lights’ via Fearless Records this year were the second support band of the night and warmed up the sold out crowd well. Headliners of the night, Broadside went in with a dynamic and energetic set that had the same intensity from beginning to end. Having just finished their run at Slam Dunk Festival and releasing their new video for single ‘Summer Stained’ there was no stopping this band. Their set list consisting of tracks from both their ‘Old Bones’ and ‘Paradise’ records, they played such songs as ‘Come & Go’, ‘The Simple Type’, ‘Laps Around a Picture Frame’ and ‘Miss Imperius’. Filled to the brim with pop punk sing along’s, and melodies and riffs you just can’t help but dance too, this was by far a winning set for the outfit. Broadside also slipped in their track ‘Old Bones’ a track they have never played before just for the special occasion of their sold out debut headlining show. Tonight, Broadside finished their set with ‘Coffee Talk’ a fan favourite as the venue ensued into chaos with crown surfers, stage divers and mosh pits. Broadside had a killer set tonight! 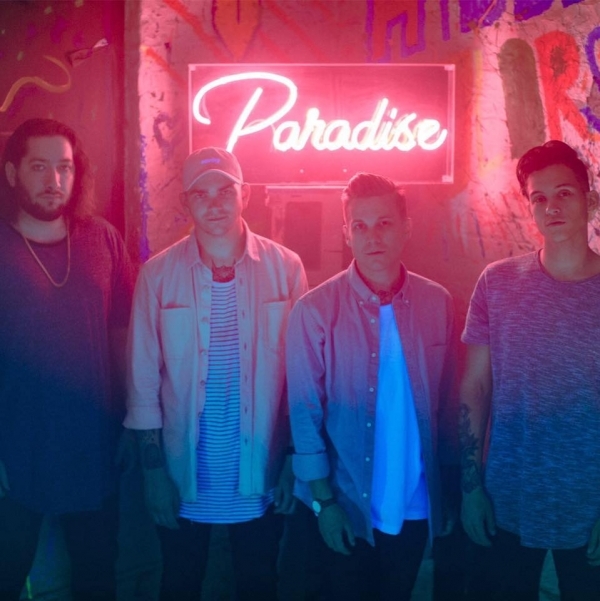 That showed just what this band can bring to the table and with a debut headline gig like this, Broadside are only destined for bigger and better things.